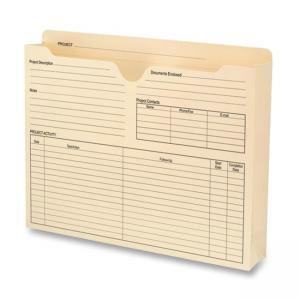 Project jackets are a perfect way to keep your project materials organized and remember important project details. 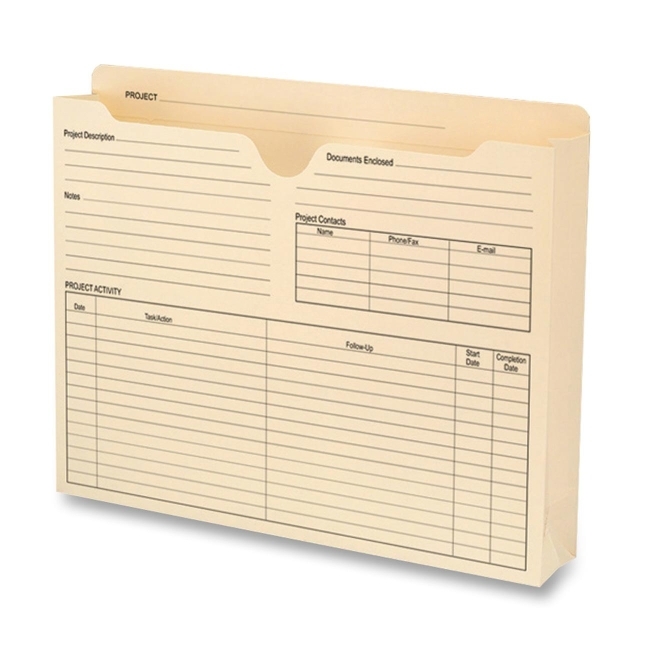 Preprinted areas on the front, back and tab provide a simple and consistent format for tracking your projects. Top tab is reinforced. Full-height side gussets keep materials from slipping out, and a reinforced tab provides added durability. 2" expansion provides ample space for project materials. Project jackets are made of 11 point stock.